I realized this installation for an exhibition in an abandoned building. The installation occupied two rooms on two floors. 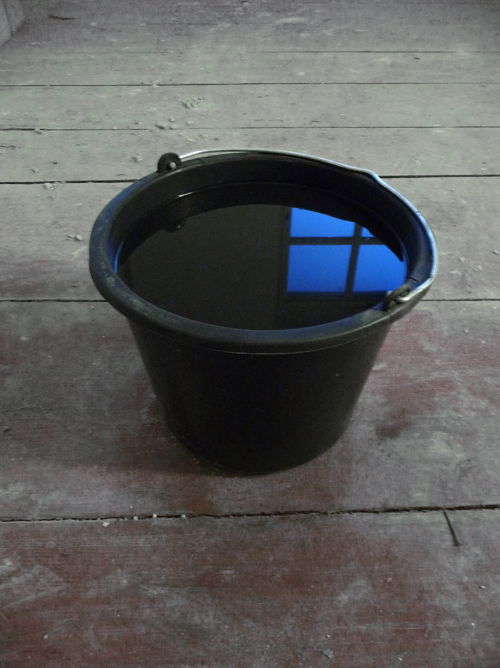 In the room on the third floor I placed a bucket containing black paint with a tiny hole in the bottom. I have installed an old fan in the floor below, just underneath the hole from which the paint started dripping through the ceiling. 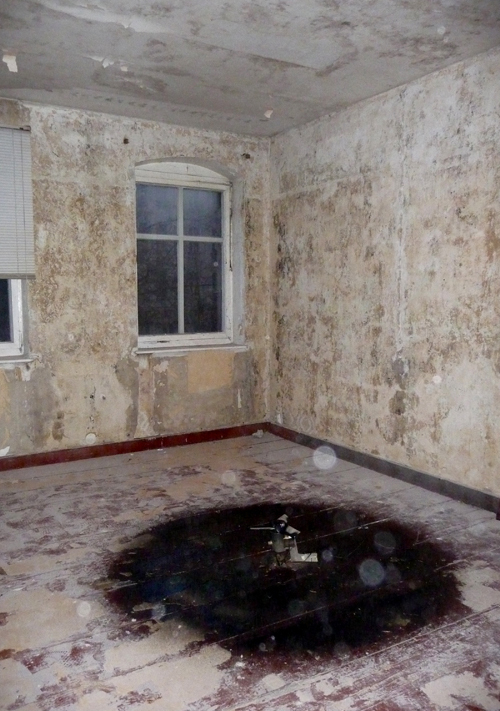 The fan distributed the black paint circular across the lower floor.